"I had my first appointment at Dr. Moskowitz's office today. Everyone was pleasant." "All the staff and the dentist are fantastic! I am so glad I found them!" "I've been going here for the past few years and always have a great experience." "Dr. Moskowitz has a fine and friendly office. They are efficient and quick." "Love the entire staff! Dr. Moskowitz is great at explaining exactly what you need." "Everyone is welcoming and friendly." "Dr. Moskowitz is a great dentist! He is very thorough and professional." Eric T. Moskowitz, DDS, or “Dr. M,” is originally from Brooklyn, New York, and moved to Greensboro, North Carolina, at the age of 2. He attended Washington University in St. Louis and earned a BA in biology. In 1992, he earned his DDS degree from UNC Chapel Hill. After graduation, he and his wife, Lori, moved to Huntersville, North Carolina. He worked in North Charlotte until 2008 when he then moved to his current location of Cannon Crossroads in Concord, North Carolina. Dr. M and Lori have two daughters, Devin and Taylor. He enjoys hitting golf balls into the rough, boating, RVing, and the Carolina Panthers (when they are winning, of course). Not only does Dr. M enjoy advancing his own dental knowledge, but he teaches as well. 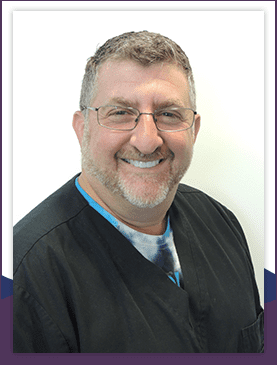 Dr. M was honored to have served as a teaching mentor at the Scottsdale Center and is now serving as an Advanced CEREC trainer, helping other dentists to advance their use of CEREC CAD-CAM dentistry. You should only have to worry about having a healthy, pain-free smile ~ not about how you are going to pay for it. Unfortunately, in this day and age, dental insurance is only looking out for themselves. They do that by paying out very little and leaving you with a larger copay than in the past. To help you afford your dental costs and fit it into your monthly budget - we are extending our 12 months* same as cash through CareCredit. It only takes a couple of minutes to apply and they will immediately let you know the outcome of your application. Then just call our office and schedule your treatment. Here are some reasons why one should think about Dental Implants. Insurance can be confusing and frustrating, especially when services aren’t covered at 100%. Some of your questions may be answered below. If not, please contact our office! We are always happy to help educate about your insurance plan. The next best thing to real teeth, dental implants are designed to look, feel, and function like your natural teeth so you can be confident in your smile. Dental implants may actually provide better long-term value than conventional teeth replacement. "This was my first time there and I must say it was a really nice visit. Their equipment is updated. The place is very clean." "Great office filled with friendly people. If you're looking for a new dentist then stop looking and go see Dr. Moskowitz!" "The staff were very friendly and yet professional. My wife and I took our youngest two kids and the staff helped us make it work." "Very friendly staff. Appointments run on time. You're in and out as promised. Very gentle and caring hands. Highly recommended." "Cannot say enough for the entire staff always very helpful, professional and caring. They make "going to the dentist" the best possible!" "First time at Dr. Moskowitz's office and I have nothing but great things to say! His staff was very friendly and my hygienist Kelly was wonderful." "Dr. Moskowitz an his entire staff are the most professional group I have ever been involved with." "Not only did the entire staff take their usual excellent care of me but they also went the extra mile in making the first visit for our triplets a pleasure for them."